This is a complete beginner class. 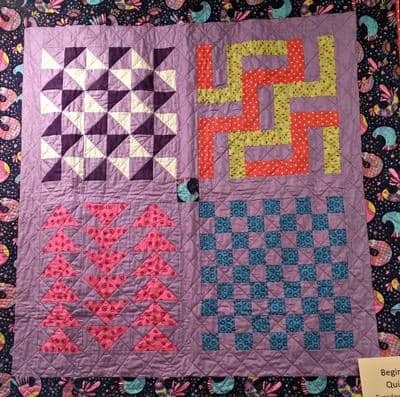 You’ll learn how to pick out fabric, use rotary cutting equipment, make blocks, put them together with sashing, add a border, quilt, and finally bind your quilt. The camp is 24 hours of in depth learning. Cheryl will work one-on-one with students to meet their needs and pace.